Style Your Way To Paris: Meet Your FAB Mentor Bloggers! You already know that we have teamed up with Swarovski to give all aspiring bloggers (yes, you!) a chance to win a trip to Paris! 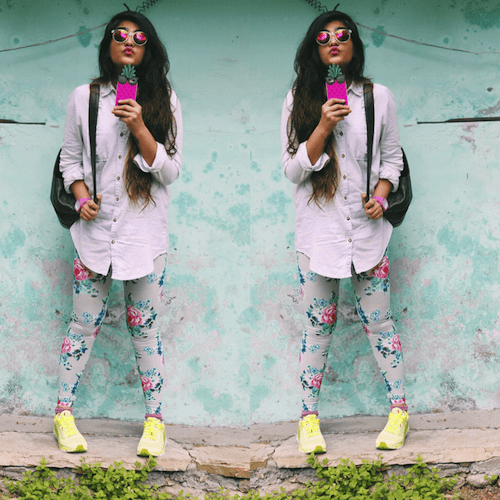 All you need to have is a fashion blog - and you’re good to go! Send in a picture of yourself and your #OOTD (Outfit Of The Day), and voila - you could be on your way to the city of lights! Sounds like a dream come true? That’s exactly how our mentor bloggers feel! You and your mentor will compete with other city teams - Delhi, Mumbai and Bangalore to win a fabulous 3-day all expenses paid trip to Paris. For more deets, check out the contest website here. Here's a bit more about our amazing POPxo Blog Network Members who are the mentors or Swarovski Style Your Way To Paris 2015! 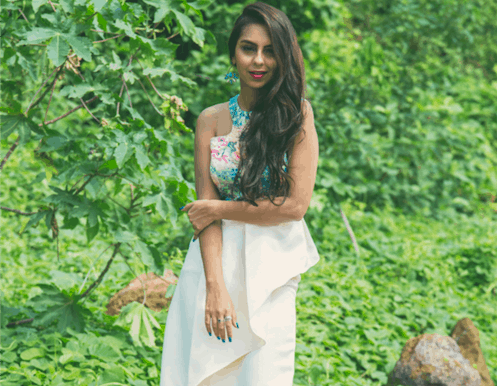 The Swarovski SYWTP 2015 Delhi Mentor, Kritika has been jumping with joy since she found out that she’d been selected as one of the mentor bloggers for this contest! A boho girl at heart with a serious passion for wanderlust, Kritika is also a fashion designer. Her blog is amazing – not only does this girl know fashion, but she also knows how to own any outfit in any room! I love Swarovski because: It's a luxury in itself, and the designs are unique and make one stand out. Blogging, for me is: Being an introvert, blogging for me is an outlet to express my views and my immense love for fashion. One styling tip I swear by: I never leave my look non-accessorized. I firmly believe that accessories can make or break your look! Accessorising for me is: A MUST! It makes you stand out and adds a touch of personal style. My favourite accessory ever: I love big, chunky neckpieces, and I enjoy layering them! 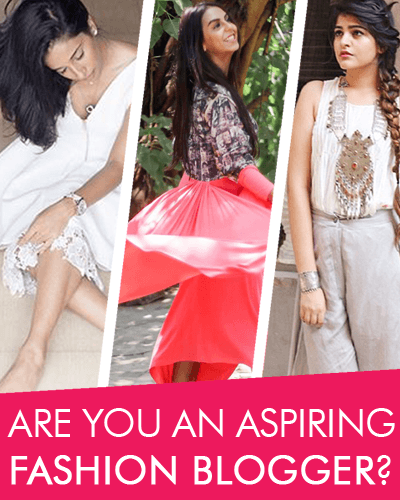 Ruhi is the Bangalore Mentor for this super styling competition! Fashion is her ultimate passion and she cannot wait to get to Paris! Her blog consists of everything from travel tidbits to designer couture. Her individual style makes for a fantastic blog. I love Swarovski because: The jewellery is simple, balanced and beautiful. The designs, they lead you on a quiet and personal adventure every time you put them on! Blogging, for me is: Freedom of expression. The one styling tip I swear by: Less is more. Accessorising for me is: Cherry on the cake! My favourite accessory ever: My two-tone beauty of a watch. Nothing beats functional design! As a fashion enthusiast, Aanam follows the international fashion runway scene and can’t get over the fact that she’s inching closer to the chance of being seated at one in Paris! As she puts it, it would be a such an amazing opportunity for anyone who loves, eats and breathes fashion. Her blog is a wonder world of fashion, beauty and celebrity style. She is the Mumbai Mentor for Swarovski Style Your Way To Paris 2015. I love Swarovski because: Their pieces are effortlessly chic. Easy to wear, and of course, affordable for the young girl who’s making her own money. The way I look at it, it’s absolute value-for-money and still looks luxurious, which just adds to its appeal! Blogging, for me is: An outlet to blow off some steam, voice my opinions and not feel ashamed or embarrassed to say what I want to say. Being on the cover of a famous national daily (Bombay Times) or on the cover of one of the magazines with the largest circulation (Femina February 2015 issue) is obviously something that wouldn’t have happened if it weren’t for the way my blog has shaped my mind and career. So blogging for me is a blessing in disguise. The one styling tip I swear by: Minimalism! I think that little pieces and separates and basic essentials in your wardrobe are the ultimate trick to compiling a power wardrobe. A plain white shirt, basic denims, a tote and that one piece of jewellery that your look is incomplete without – those are my essentials. Accessorising for me is: Adding dimension to my look. There’s nothing an accessory can’t do to make your look better. Always keep in mind that clothes create an outfit, but accessories create the look. My favourite accessory ever: My diamond ring. It was passed on to me by my mom on my 21st birthday, and it resonates with all my mom’s teachings, strengths and lifelong blessings to me, in the form of one simple white gold band, with a 1.2 carat solitaire and a string of little 10-cent diamonds along the band. A gorgeous accessory for real.